The critical buzz aroused by David S. Ware’s work with Andrew Cyrille and Cecil Taylor in the ’70s had, by the late ’90s, turned into a consonant roar. New York’s collective jazz press — always on the lookout for the music’s next messiah — crowned Ware the “King of Free Jazz” on the basis of his energetic quartet albums from the mid-’90s. Ware’s band (with Matthew Shipp on piano, William Parker on bass, and, variously, Susie lbarra, Marc Edwards, or Whit Dickey on drums) became the decade’s avant-garde supergroup by consensus, and Ware was indeed a splendid artist. Ware’s saxophone technique was total; unlike some free players, he did not base his style on any particular technical shortcoming or theoretical misunderstanding. His knowledge of functional harmony was above and beyond that of virtually any other free saxophonist. He learned both the music and the horn up and down, inside and out, from the bottom up. In this respect, he was a true heir to Coltrane, who also based his free work on a comprehensive knowledge of his materials. Indeed, Ware’s typical manner of performance — modal/free, rubato, high-energy collective improvisation — stemmed directly from Meditations-era Coltrane. Ware’s tenor sound was huge, centered, and multi-hued, all up and down its range. His facility was great, his imagination broad, and his expressive abilities immense. And no saxophonist of his era played with more unadulterated passion. Without question, he was a very, very fine, arguably even great player. Ware played alto, tenor, and bari saxes in his teens. In the late ’60s, he attended the Berklee School of Music in Boston. There he formed a band called Apogee, which played around Boston until 1973, when the band moved en masse to New York. In 1974, Ware performed in a large Cecil Taylor aggregation at Carnegie Hall. The mid-’70s found Ware a member of drummer Andrew Cyrille’s group, in a trio with trumpeter Raphe Malik, and on tour with Taylor. This group issued a long unbroken string of releases including the stellar Black Saint release Metamusicians’ Stomp. Also in the ’70s, Ware played with drummer Beaver Harris on the drummer’s African Drums album — the saxophonist later recorded his own version of the title track on Surrendered. As a leader, Ware’s recording career began in earnest with a pair of releases on the Silkheart label: 1988’s Passage to Music and 1990’s Great Bliss, Vol. 1. In the early ’90s, Ware began recording for the Japanese DIW label; that company’s 1991 release, Flight of I, was distributed by Columbia and remains in many ways the tenor’s most stunning work. The late ’90s had Ware recording with his quartet for a number of independent companies, including most notably the alternative rock (and now-defunct) Homestead label. He signed to Columbia for 1998’s Go See the World, issuing Third Ear Recitation on DIW/Koch later that same year. Surrendered followed on Columbia in the spring of 2000. While continuing his rapid-fire release schedule, he released Corridors & Parallels in September 2001 on the AUM Fidelity label. Freedom Suite followed in 2002, Threads in 2003, Live in the World in 2005, BalladWare in 2006, and Renunciation in 2007. ShaktiShakti, featuring the three-part title suite, appeared in 2009, the same year that Ware underwent a kidney transplant after administering dialysis to himself for almost a decade; the album had been recorded the previous year. The live solo album Saturnian: Solo Saxophones, Vol. 1 was the first album recorded by Ware after his kidney transplant; it was released in 2010, followed by the trio release Onecept with William Parker on bass and Warren Smith on drums. 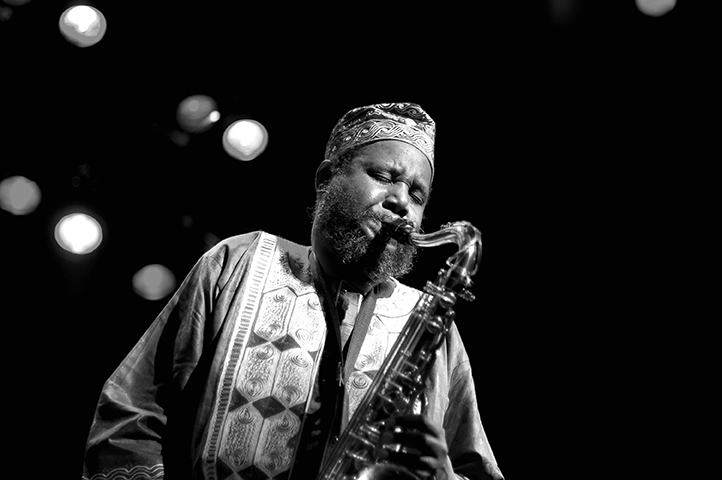 Ware had an active year in 2011: first, AUM Fidelity issued Planetary Unknown, which placed the saxophonist as a leader in the company of Cooper-Moore, Parker, and Muhammad Ali (the drummer, not the boxer); in August, the documentary David S. Ware: A World of Sound by director Amine Kouider was screened on the David Lynch Foundation’s website dlf.tv; and in October, Organica: Solo Saxophones, Vol. 2 was released, again by AUM Fidelity. The label next released Live at Jazzfestival Saalfelden 2011, a recording by Ware’s quartet featuring Cooper-Moore, Parker, and Ali, from what turned out to be the saxophonist’s final performance. Sadly, David S. Ware died in October 2012 from complications arising from his 2009 kidney transplant; he was 62 years old (Chris Kelsey).